Where would we be without our teachers? From kindergarten through to college, they help us and every other generation out there grow into adulthood. That’s a lot of responsibility on one person’s shoulders, and some teachers do the job a lot better than others. You probably know which ones we’re talking about. Those teachers that go above and beyond to educate their students, the ones who find ways to captivate their class while still keeping to the syllabus. They can even make reading from the textbook seem exciting, because they all have that special quality that draws everyone in. These people might not be as common in schools as we’d all like, but they’re out there. Some students don’t know how to contain their excitement when they get taught by one of these exemplary teachers. They want the world to know just how lucky they are. That’s why they’ve snapped these pictures at school to show off what they’re getting up to while other students at being talked at by some stuffy guy in a suit. Did you ever have a teacher like this when you were at school or college? If so, you were certainly a lot more fortunate than us. How do those teachers compare to some of these devoted educators, though? Teachers can be pushed to their limits, even if they try hard not to let their students get to them. No-one wants to lose their cool in class, especially near the start of the year. If kids think someone is a pushover, that teacher will never get the respect they demand. That’s why this woman is putting her foot down… with her face. Those eyes tell you she’s not someone to mess with. We don’t think any students will be crossing the line with her in the near future. Remember this curvy teacher from earlier? Well, if parents thought that what she was wearing before wasn’t appropriate, then they ought to be happy with this new outfit. The simple jeans and t-shirt look is a classic and won’t be distracting any of her students from the work ahead of them. Knowing how parents can sometimes be, though, we’re sure they’ll find a reason to complain about her. Let’s just let the woman do her job. How do you make classes different? Do something memorable that they won’t forget anytime soon. Singing’s always a good way to go about things. Usually, the teachers who decide to do that aren’t the most vocally talented people out there, but that just makes it harder to forget. It’s often said that you can learn a lot of information if it’s put into a song. We pick up lyrics a lot easier than just reading things from a textbook. This teacher knows what she’s doing. 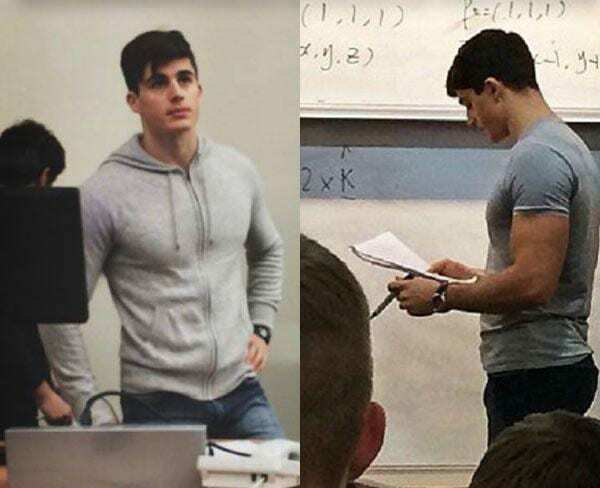 These pictures of a math teacher have started off someone’s career, but it might not be who you expect. When these were shown online, they caused a storm and gained a lot of attention, but it was all being piled on the wrong person. Oksana Neveselaya, a student from Belarus, was wrongly identified as the teacher and has now taken all the glory. It pays off having a doppelgänger in the education industry it seems. Hopefully, the real teacher isn’t too upset by the mistaken identity. Having good banter with your teacher can be important. There’s obviously a line that shouldn’t be crossed between teacher and student, but it’s good for the two to have a relationship of sorts. People who can talk comfortably with their superiors will feel more at ease with opening up about any issues they might be having. How can you tackle a problem someone might have with the subject if no-one talks about it? Of course, when students and teachers have a good rapport with one another, that can lead both sides to joke around more. She’s definitely serving sass to her students here with that look on her face and hand on her hip. This teacher’s ensemble caused quite a bit of controversy with some parents, because they viewed it as being inappropriate. Her curvy figure sparked a huge debate on Twitter, but it escalated a bit too far. The long, solid-colored outfit isn’t exactly revealing, even if it is figure-hugging, and doesn’t reflect on her capabilities as a teacher. None of her students have ever complained about what she wears, and we’re sure they’re getting the best education she can give. Finding the blend between casual and professional wear is difficult. You want to show some professionalism at your job, but no-one likes to sit around in a suit. Just because someone’s a teacher, it doesn’t mean they don’t enjoy the freedom of comfortable clothes as their students do. This South Korean lecturer has shown exactly how you can find the right balance. She looks every part the professional role model in something that won’t have her sweating when trying to teach on the hotter days of the year. Bravo. Teachers can wear some of the most interesting outfits. We’re not sure whose attention they’re trying to catch with what they wear, but we suppose it gets everyone talking. Even the simplest looks sometimes have a way of making heads turn. Floral prints and bright colors will do that. 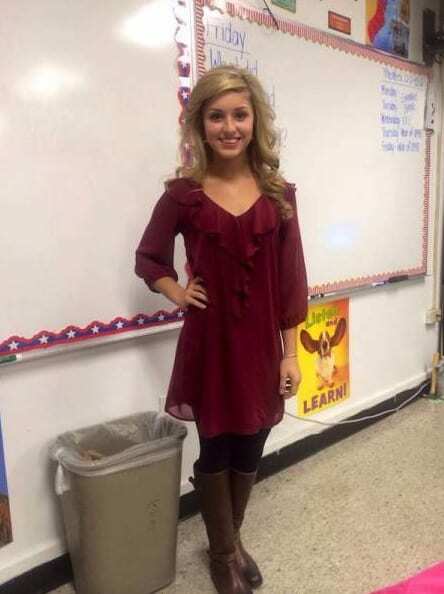 We don’t think anyone else went into school planning to be as eye-catching as this, but at least everyone should pay attention to her lesson more. That’s if they don’t get sucked in by her colorful ensemble. Sometimes the best way to connect with your students is to dress like one. Sure, most American schools don’t have a dress code, but the idea of a school uniform is something that’s well understood around the world. What better way to make your students listen to what you say than to make them think you’re one of them? It’s amazing how well people will listen when they don’t think they’re being talked to by someone in authority. What says “down with the kids” more than a teacher who’s been in and out of a tattoo parlor more than a few times? He’s obviously not afraid of a bit of pain, so teaching a class of students can’t be too hard for him. 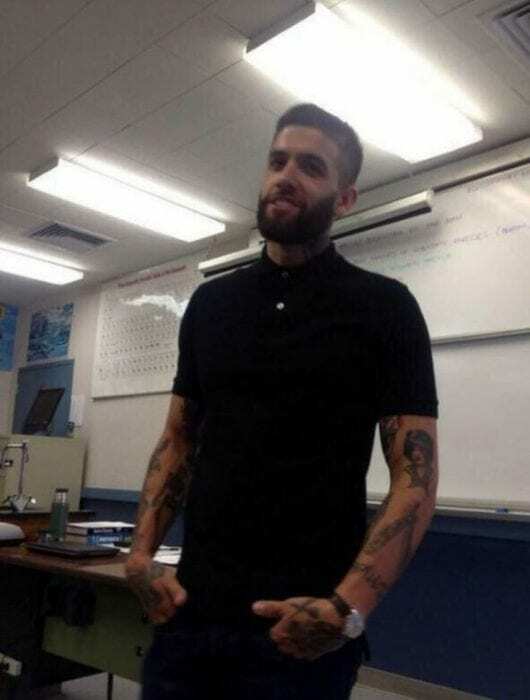 We expect all his ink makes a great talking point in class. When you see a tattoo, it’s hard not to wonder what spurred someone to get it. Maybe he answers their questions if they get their work done on time. Have you ever seen someone and felt like you recognized them from somewhere. Some people just have one of those faces that seem instantly familiar. If this teacher ever needs a job on the side, she could probably become an Angelina Jolie lookalike. She definitely has a lot of that charm that Jolie has, and she reminds us of the actress in her early days. Her students must love being taught by someone with such an iconic (unrelated) twin. Students aren’t the only ones who dread going to school sometimes. Even if teaching is their passion, it can still be difficult for teachers to drag themselves to work every morning. When you have so many kids to teach, the stress can easily pile on. That’s why you have to go in with a smile on your face. If you can’t show some positivity, how are your students ever going to get excited about learning? This ray of sunshine will surely have her kids beaming for all the right reasons. Being a teacher isn’t the end of the road if you ever want to go into another career. Emily Sanders, a teacher from the UK, has found that she can use her beauty as well as her brains. 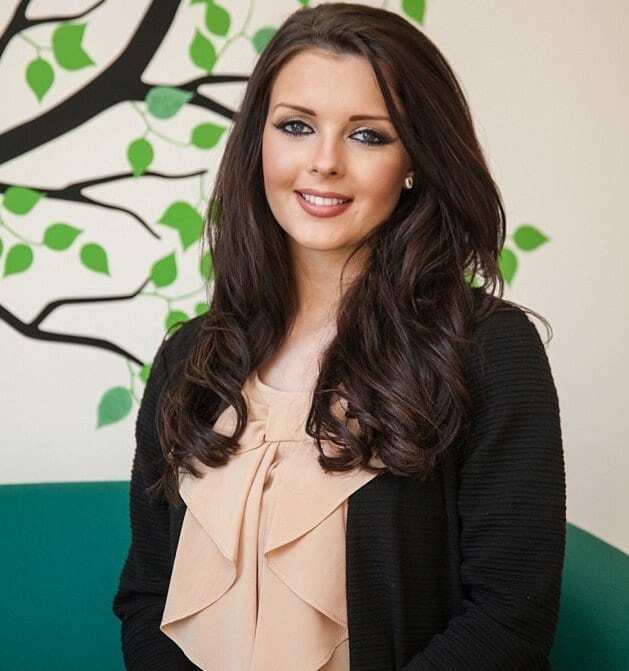 She’s had success on the modeling circuit, winning Miss Bristol and Miss Somerset crowns, as well as competing in the Miss England competition. She’s found a way to balance her two passions, as she still teaches history at her school, although perhaps with a little more glamor than before. Online exposure can’t be a bad thing when it leads to a career in modeling. Pietro Boselli has certainly benefited from having his face put out there. He was content with just teaching math, but his students obviously enjoyed his lectures so much that they wanted to share them with the world. Luckily, the world took note. We’d love to sit in on one of his lessons. Pietro clearly has the ability to crunch those numbers like no other teacher out there. Well hello there, blondie, and what subject will you be teaching today? Is isn’t clear to us one hundred percent what subject she’s teaching, but we can be sure that she’s teaching a children’s class, because of many different hints around the room. In fact, we’re getting to the point that we may want to repeat the third grade if this is what the teachers look like these days. Now we know what Billy Madison felt like. This young student is so innocent, and is far from aware of the way that his teacher probably appears in the eyes of many of her contemporaries. He doesn’t realize that she probably gets asked for her number at least two to three times a day. He probably doesn’t understand what many older guys would give to be in the position he is now. But this is all for the best… all he needs to worry about is learning, and thankfully his teacher is providing him with that service. There truly are a multitude of different outfits that you might find a teacher wearing in school, and this picture really takes the cake as far as that goes. We thought we had seen it all, but this teacher looks like she may be on her way to a salsa dancing party with the getup she has on. But hey, everyone has their own style, and if the kids and the parents are cool with it, that should be good enough for everyone else. Getting a good snapshot of your teacher really isn’t an easy thing. We aren’t saying that from experience… we’ve never actually tried it. But based on what we’re looking at here, it doesn’t look like the easiest thing in the world to do, especially if you’re trying to avoid being caught. But we’re not surprised that this student was brave enough to sneak a picture… after all, he seems pretty laid back, with his feet up in class. It’s hard to imagine that any principal could allow someone who looks like this to teach pre-algebra at a school, but it seems that this is case. How would any of the students ever get anything done? Some teachers just have that aesthetic appeal to them, and this blonde is one of them. Her outfit isn’t helping either, by the way. The whole package just makes it hard to believe anyone could get any real work done in this class. You may not notice it a first glance, but this teacher has a name-tag on her shirt. This leads us to believe that she may perhaps be a substitute teacher who was called upon to teach a class temporarily. 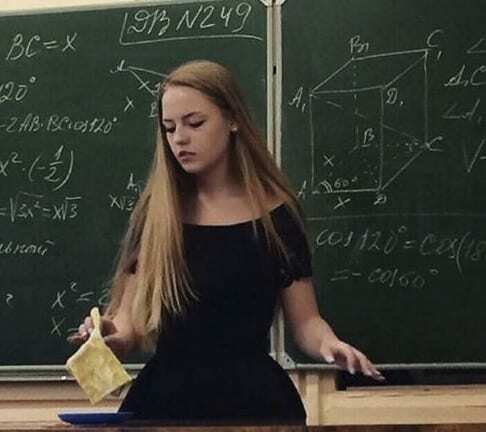 This young blonde teacher seems to be in the middle of a class experiment, or at least really focused on something in her hand. Regardless of what she’s actually up to in this present moment, she clearly has her gaze on something, and if she didn’t, she may have noticed the paparazzi style picture being taken of her. Based on the complicated chalkboard behind her, we aren’t surprised that a student may have wanted to take a break from doing tedious math problems.